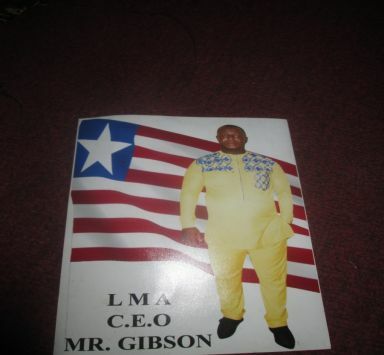 The headquarters of the Liberia Marketing Association (LMA) was imbued with heavy tension on Monday, November 12, 2018 as Chief Executive Officer (CEO) Jones Gibson ordered for the opening of the gate to the headquarters. Some questionable employees of the entity demanded the security to forcible open the gate for them to enter at the time which was much sooner than working time. According to CEO Gibson the gate was locked on Friday, November 9, 2018 right after working hours by the security officer that was on duty at the time and was told not to open the gate until Monday which is the regular working day because on Saturdays and Sundays the office cannot operate. He toldFOCUS that early Monday morning of November 12, 2018 some employees and angry marketers rushed at the headquarters in Rally Town central Monrovia and were forcing the security officer to forcibly open the gate to have access to the office, because they said it was their time to work in the office, he noted. He at the same time, said due to the heavy tension from the two groups, Officer Henry Flomo managed to escape the scene with the keys of the entire building which caused some delay in entering into the offices of other employees and top executive members of the LMA including himself who is the CEO of the institution. He also said; due to the escape of the security officer with the keys he ordered the breaking of the lock to the building for other workers to enter and do their normal work as Monday is a busy day in every office and entity around the globe, and as such the building needed to be opened. Gibson also informed FOCUS that only the national office of suspended president Madam Alice G. Yeebahn remained closed and it will remain until the audit is conducted and the result be sent to them specifying who is to be in the office before it can be opened to anybody or that the government says LMA should go for election to have new leadership; that’s the only way the office of the president will be opened, he stressed. At the same time, the deputy Director General for operations Mr. Francis Siryon said those who want to undermine the administration of Jones Gibson the CEO and his able assistance are doing it for their own gain and to get favor from the suspended president but not in the interest of the LMA. He also cautioned those in the constant habit of protesting to come and put hands together to move the LMA forward and wait for the audit result as LMA is not a political institution that members should be seen in the streets protesting all the time, he noted.